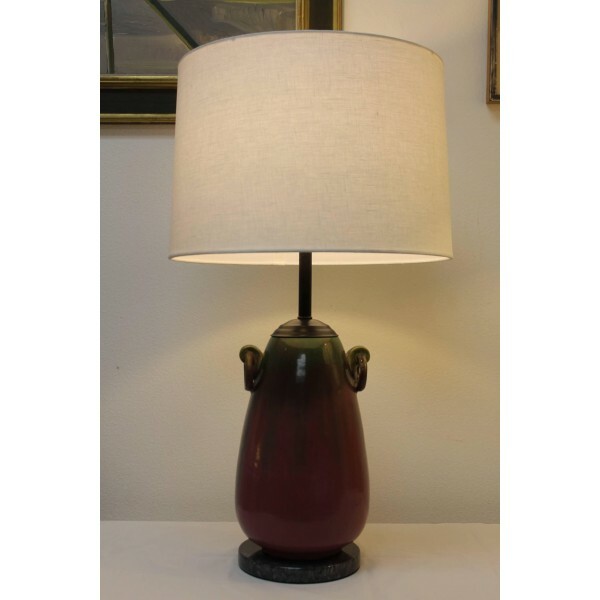 Sculptural table lamp by Fulper pottery consisting of two ring handles. 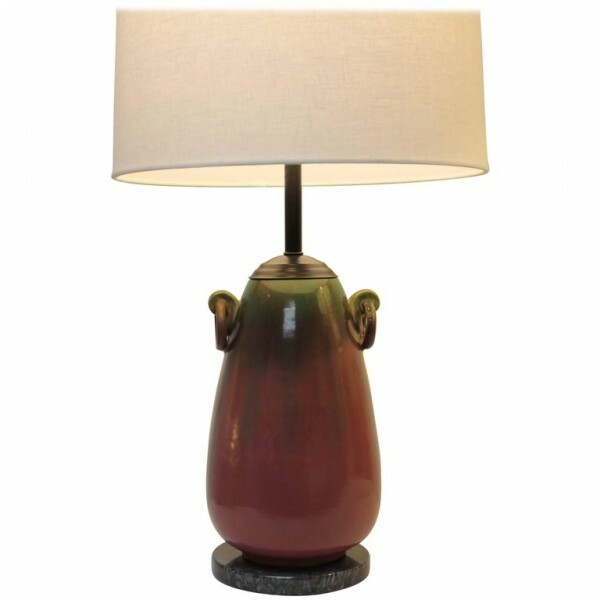 Lamp has been updated by adding a marble base and black hardware. 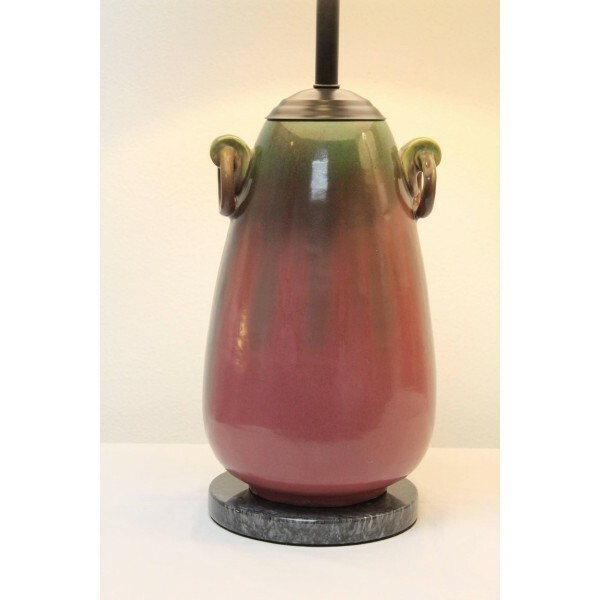 Beautiful purple and green run glaze throughout. Base is 7" diameter. 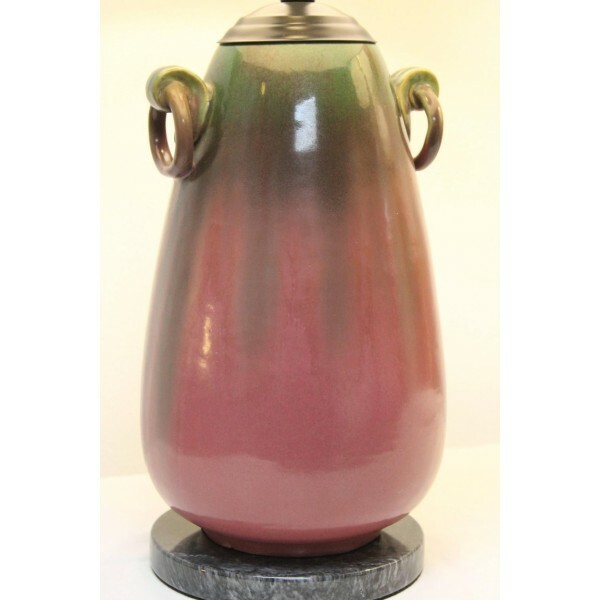 Vase is 13" high and 8" diameter. Total height is 19" from base to the bottom of socket. Lamp shade not included. Note: We also have a green version in stock.